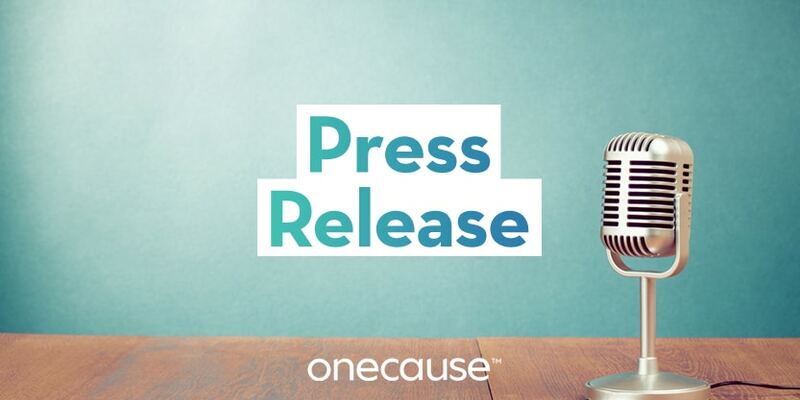 February 5, 2019 — INDIANAPOLIS – OneCause, a leader in mobile fundraising, today announced a series of new product enhancements and features to improve the giving experience and help nonprofit customers raise more fundraising proceeds. Newly released features simplify mobile experiences for supporters with Text2Give® and Text-to-Register and provide donors the opportunity to support a nonprofits’ transactional costs with the flexible Cover Costs feature. Text2Give®: Developed on a new modern fundraising platform with an intuitive, mobile-optimized interface, the enhanced Text2Give® solution empowers nonprofit organizations to engage supporters and seamlessly collect donations via customized text messages. Cover Costs: Nonprofits can now give supporters the opportunity to increase their gift to cover transaction costs across the full OneCause fundraising suite including Peer-to-Peer, Text2Give®, Online Giving, and Mobile Bidding. The Cover Costs feature allows organizations to set pre-determined percentage amounts as well as turn on/off the feature to support any number of donor activities. Text-to-Register: The new Text-to-Register feature simplifies guest registration with a single-click mobile experience to quickly engage the guest in fundraising opportunities. Guests text a unique keyword and immediately receive a custom message and mobile-optimized registration form. Ticket Assignments: With Ticket Assignments table captains, sponsors, and internal contacts can easily assign and reassign event tickets to guests, providing more flexibility, reducing common challenges with unclaimed tickets, and simplifying registration with a one-click login process. ADA-Friendly Giving Pages: The updated Giving Center provides improved screen readers, visual cues, and logical tabbing for an enhanced ADA-friendly experience to make giving more enjoyable and seamless for all supporters. OneCause creates user-friendly fundraising software that helps nonprofits engage donors, raise more money and save valuable time and resources. Our full suite of cloud-based fundraising solutions has powered 5,000 organizations, well over 20,000 fundraising events, and helped nonprofits raise more than $1.5 billion. Located in the marketing technology hub of Indianapolis, OneCause has been recognized on the Inc. 500 list of Fastest Growing Companies, received a Techpoint MIRA award for Mobile Technology Excellence & Innovation, and was awarded a Silver Stevie® Award in the Customer Service Department of the Year – Computer Software category.